After a series of acquisitions and going public in 2005, Morningstar wanted its global workforce to be connected in an improved, more efficient way. Enter Workday and Collaborative Solutions. Named from a line in Henry David Thoreau’s Walden, Morningstar got its start in 1984 when founder Joe Mansueto saw a need for independent investment and stock research and analysis. Today, Morningstar is a leading provider of such research, managing more than $180 billion in assets across North America, Europe, Australia, and Asia. Based out of Chicago, Illinois, Morningstar provides real-time global market data on more than 500,000 investment offerings, including stocks and mutual funds, indexes, futures, options, commodities, and precious metals. They also report on foreign exchange and Treasury markets. 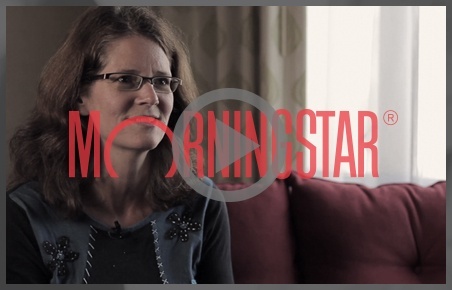 Morningstar created the Morningstar Rating, Morningstar Style Box, and other proprietary measures. Their customers include individuals, financial advisors, and other institutions, and they have operations in 27 countries. After a series of acquisitions, in addition to bringing the company public in 2005, Morningstar wanted its global workforce to be connected in an enhanced, more efficient way. Manually processing payroll each pay period took too much time and too much effort from resources. There was little visibility into the activities and processes across office locations, leading to miscommunication and operational inefficiencies. Collaborative Solutions worked with Morningstar to replace their homegrown legacy system with Workday. For Phase 1, Collaborative Solutions deployed Workday Core HCM, Compensation, Benefits, Performance Management, and Absence. The project was kept on-time and on-budget, and went live in September 2012. Additionally, Morningstar has leveraged Collaborative Solutions’ Continuous Value Services for Extension & Optimization Support. As a result of Collaborative Solutions’ experience deploying Workday for Financial Services customers, the project went smoothly and was live after seven months. Collaborative Solutions navigated Morningstar stakeholders through the Workday methodology and provided thorough and relevant guidance to address their pain points. Morningstar was self-sufficient on the solution very quickly. The team continues to increase user adoption rates and Collaborative Solutions is working with them as they continue to optimize Workday’s features and benefits. Learn how Morningstar leveraged Collaborative Solutions and Workday to help connect its global workforce and streamline its payroll process.